In your day-to-day life you will undoubtedly come across a host of different stressors that will affect you. What you might not know though is that it could also affect you physically through acne breakouts. This is why many local residents seek efficient skin care treatments in Folsom as well as therapeutic massages to relieve stress and unwind from the Healing Station. The relationship between stress and acne has always been a subject of speculation and debate among medical practitioners, but this all changed in 2003. At this time, a Stanford University professor observed frequent acne breakouts among students taking exams. Scientific studies conducted on the matter revealed that there really is a direct correlation between increased stress and acne. Your brain reacts to stress by giving signals to various organs in your body—your skin, being the largest organ, gets the word that it’s time to mass produce stress hormones. This then causes more oil to develop within your skin’s hair follicles, opening it up to a higher chance of inflamed or infected sebaceous glands, which is then what’s called acne. For many people, acne is a chronic problem that doesn’t just vanish after finals week. 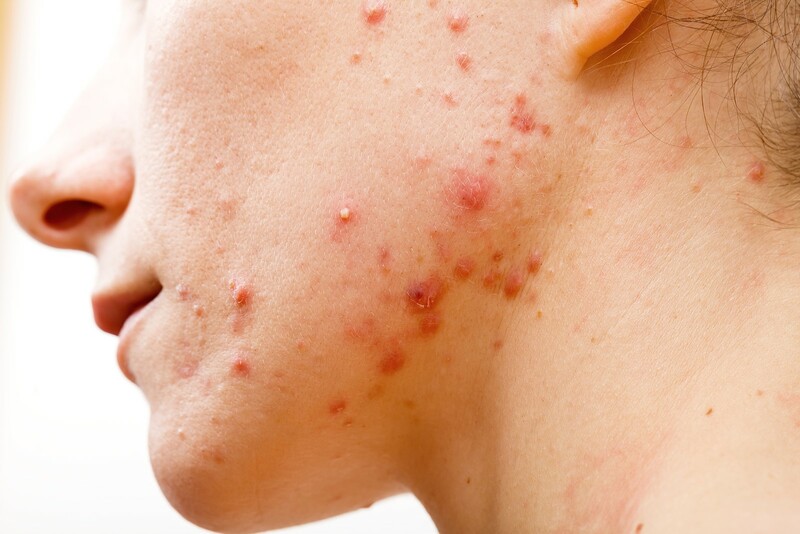 It’s often a long-term issue that requires acne treatment, which can include benzoyl peroxide, retinoids, antibiotics applied to the skin or taken by mouth, hormonal treatments, and in more difficult cases, isotretinoin (Accutane). There are many ways through which you could prevent acne breakouts caused or aggravated by stress— this should involve trying to minimize the stressors in the first place. In addition, you could visit your local acne and skin care treatment clinic in Folsom, CA for tips on getting your skin back in shape. As a premier health and wellness spa, they also have massage services that not only rejuvenates you, but also restores your skin and boosts its healing ability. Having an efficient stress prevention method will help to keep yourself from getting acne breakouts—but if it’s already happened, there are many treatments that you could look into. Give the Healing Station a call today at 916-294-9980 for expert help or visit their website at www.TheHealingStation.net to schedule online.